Good morning! This is gonna be a busy week on my blog, I have a lot of new collections and polishes to share and I full intend to post at least once a day (sometimes more) so get ready. 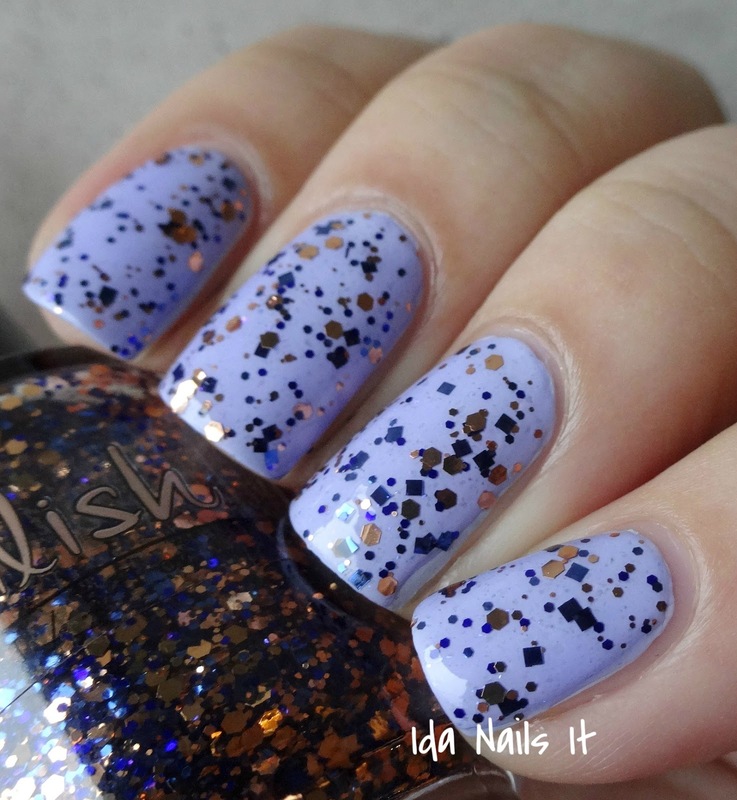 This morning I have Pahlish's November 2014 Over the Sea Duo to share. This duo should be available on Friday, November 28th one last time, check Pahlish's Facebook page for more info. Hmmm mmm good. It's so creamy looking! The formula is a dream, I misplaced my clean-up brush and except for a couple of spots, I barely needed it, it applies that smoothly. Clear base with copper and navy glitter and neon purple shimmer. 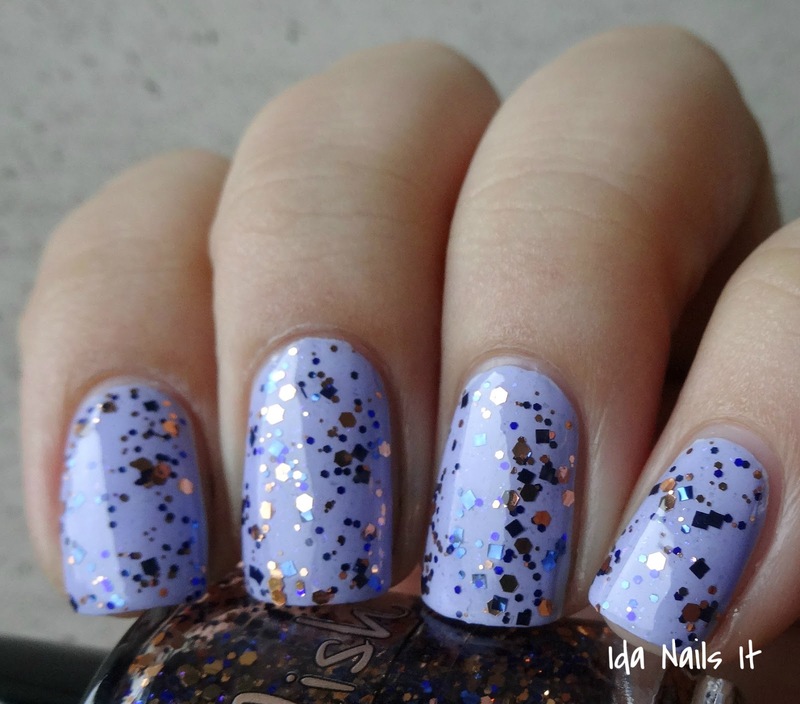 The glitter colors are so pretty and the contrast is pretty darn awesome against the pale purple. That glitter is gorgeous over that color. Great duo this is!